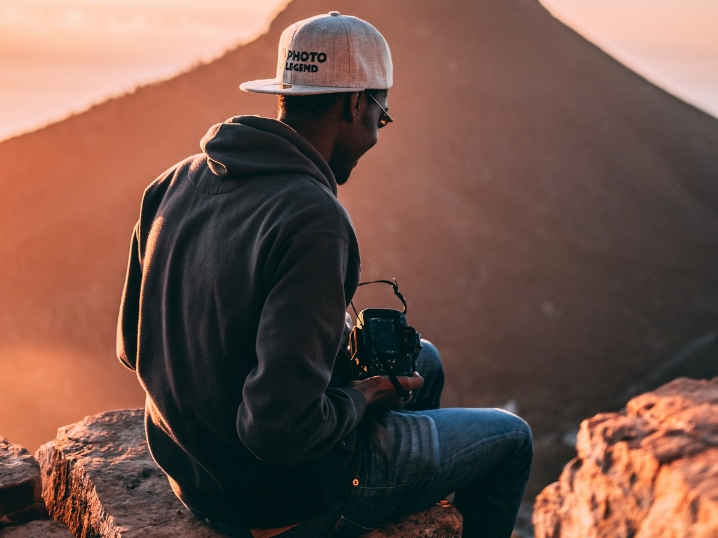 To celebrate Black History Month, we’ve compiled a list of seven black photographers worth following on Instagram. From documenting haute couture to everyday street photography, these nine photographers will improve the quality of your Instagram feed. 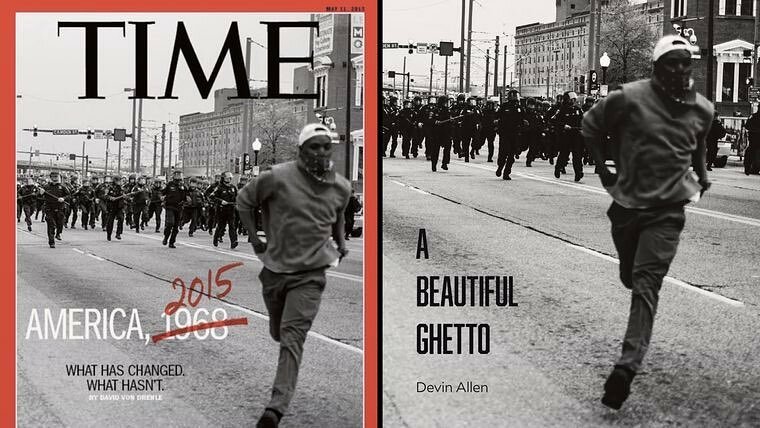 Baltimore-born photographer Devin Allen catapulted into fame for his photo of the Baltimore unrest that was featured on the cover of TIME (above). Shooting primarily in black and white, Allen’s photographs show a seldom-seen side of Baltimore City. She may be based in New York City, but Adrienne Raquel’s photographs tout dreamy California vibes. 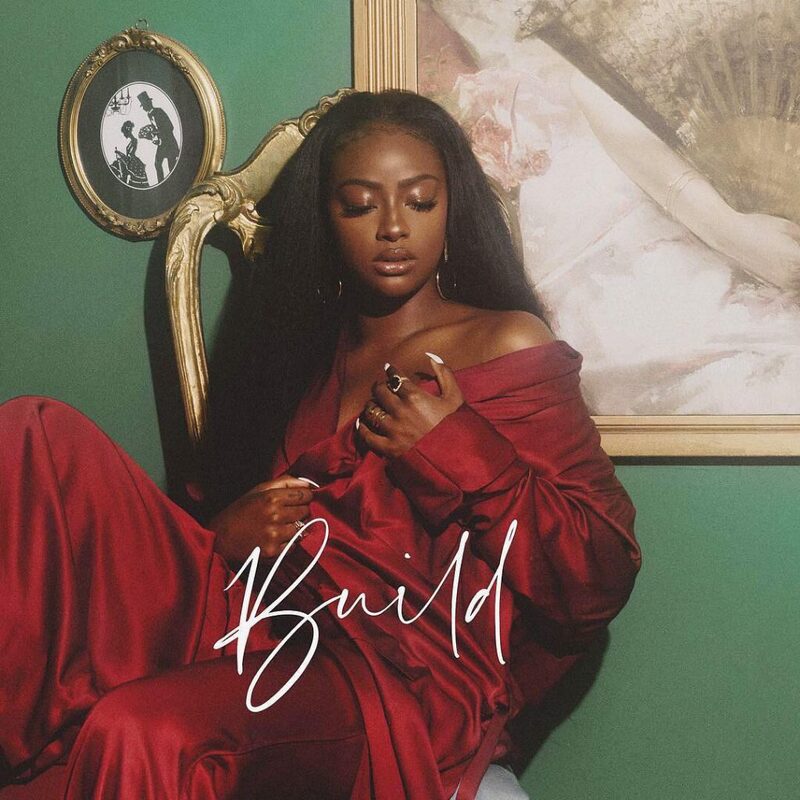 Her vibrant and playful work has been seen in Refinery29, ELLE, and for artists such as Justine Skye (above). As a two-time Iraqi War veteran, Michael A. McCoy doesn’t shy away from capturing current events. 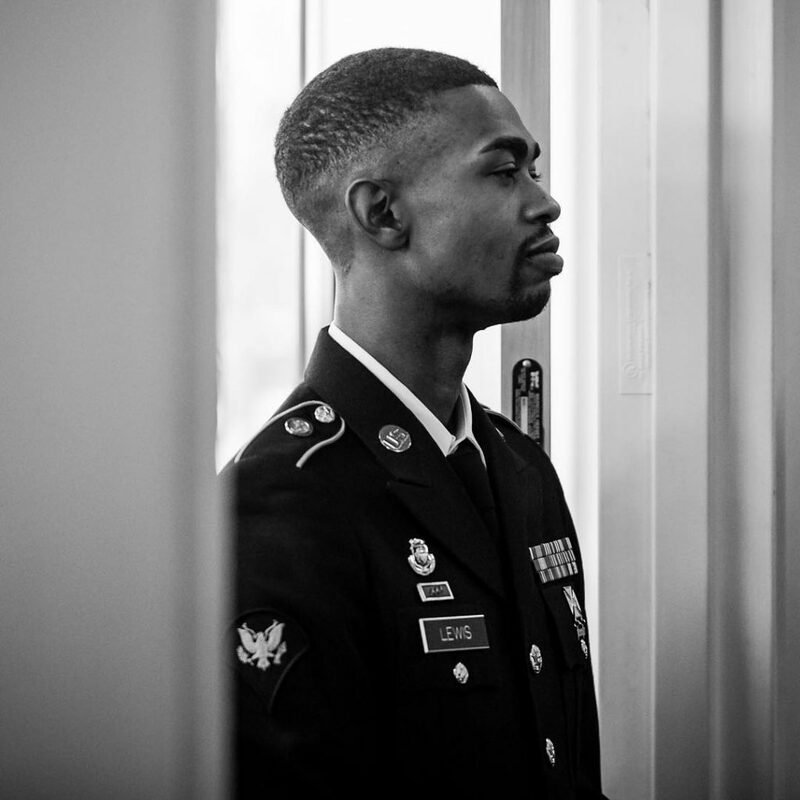 His portraits of vets, like the one above, are intimate portraits that everyone should see. 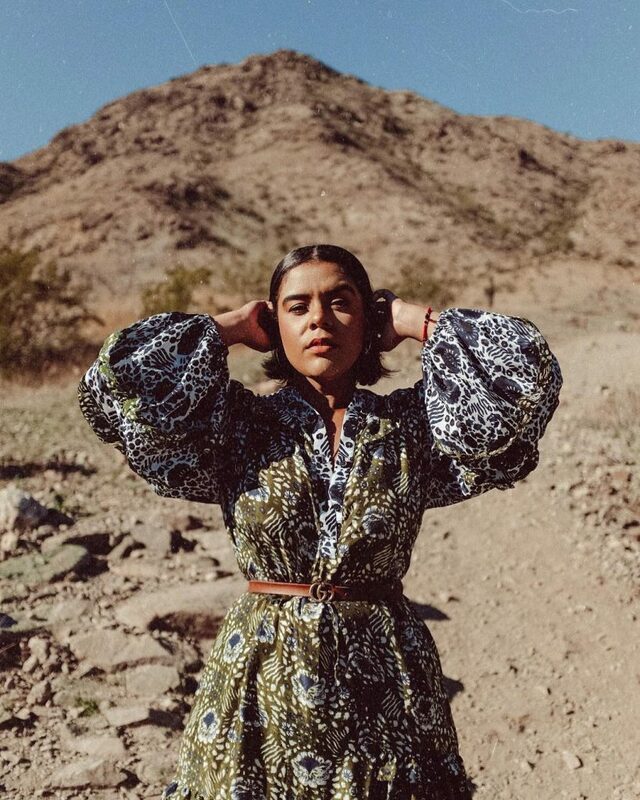 Living in sunny Phoenix means there a lot of colorful shots in Denisse Benitez’s feed – and a lot of envy from those of us currently snowed in. 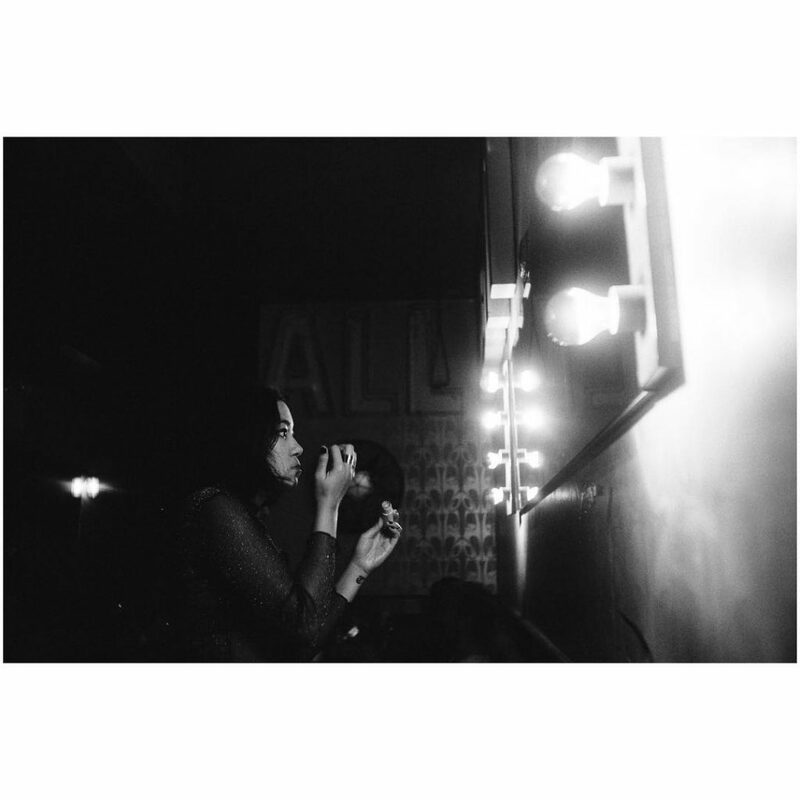 There’s a lot of beauty to behold with Deun Ivory’s photography. Plus, her muted style allows for a special intimacy with her subjects. You’re bound to recognize quite a few faces on Greg Noire’s feed – he’s photographed everyone from Chance the Rapper to the New York Knicks. It’s a treat getting to see life through Ray Neutron’s eyes as photographing for Apple, Jack White, VSCO, Hypebeast, and more takes him some pretty interesting places. Have any favorite photographers that we missed? Let us know in the comments! @creativesoulphoto is a husband and wife duo that is really awesome. Recently had the pleasure of meeting them at Imaging 2019 a few weeks ago. I would have you add Ayana V. Jackson. She has such a unique vision. Well although it might be a stretch, i’d love to be featured. I’ve been in the art of photography for a while now and have portfolio of both wedding and celebrity/concert photography. You missed Allen Pierre, he creates a perspective. And perspectives are limitless. He provided a new way of viewing everyday things, and there’s a magic in that. Two brothers Sherrod Calland @SherrodCalland who shows great images of Los Angeles and the people in it. Mark Calland @MarkCalland2828 who also shoots in and around the Los Angeles area. @usfjrain on IG is a MUST follow!!! He has photography down to a science that he shares with others via multiple platforms for either free or low cost. Whether you are a fellow photographer or a budding entrepreneur, he is for sure a MUST follow! Another photographer well worth the follow is Donald Stokely http://www.eventheroesoftampabay.com. He and his team are local to the Tampa Bay area. As a young entrepreneur, he transformed a one man show into an entire TEAM. His team consists of multiple photographers, videographers and DJ’s!!! He is definitely a powerhouse and you will see more of him and his team this year! Larry Fink’s work Is striking! I just started. @johnsonjrphotos Been a world traveler for 30 years. I’m looking forward to checking out everyone’s work and learning from it! Check out Worsham Robinson in Chicago. You can search him. Nyt articles written on him. A visual beast. Check out hot photographer out of Cali @ robwrightfilms. He is fire! 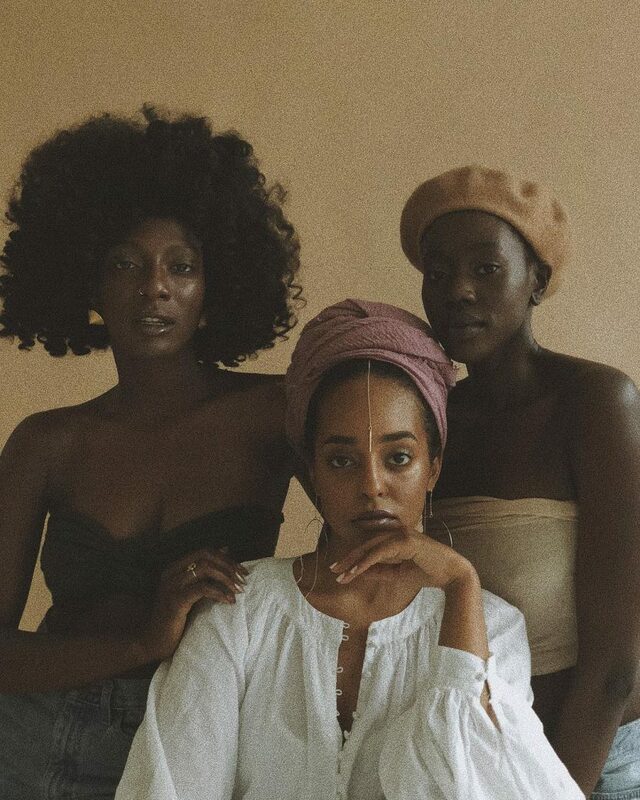 There’s another black photographer, IG: @GiveMeFace_ who sparked that viral #HobbyLobbyChallenge. That was in 2018 when everyone was doing photoshoots in the craft store by the fake flower section. Check out my favorite photographer named Victoria Ford of Sneakshot Photography. Her work has nothing but inspiring to me since I started taking shooting seriously. 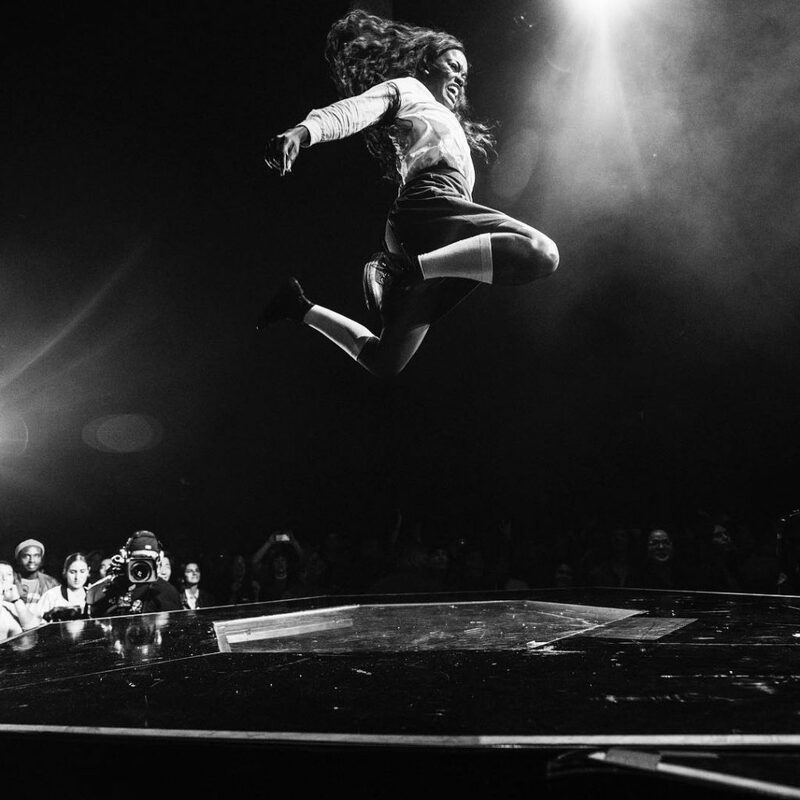 Nothing but delightfully awesome concert and other photos! Check out Zizwe Allette of Baltimore. Check out Dixwellflix on Instagram. You will not be disappointed. A young street photographer out of Atlanta with a real eye. Hosea Johnson takes incredible portraits, including Brandy’s first album. Check out Paul Biagui Photography in Atlanta, GA.
@clay_benskin on IG is my favorite. His eye is incredible. D Nice is also excellent. Shannon McCollum often travels as the photographer with with George Lopez, Cedric the Entertainer and DL Hughley as their official photographer. He has an artistic eye and is an amazing photographer. Ruddy Roye. Follow on instagram. Yes me. @Photographs By MikeJunie, on FB MikeJunie Photos….. I had an Awesome birthday photoshoot from an Atlanta based photographer @ Shocophoto. Shoccara Marcus is a Dance photographer with an eye for Awe. Pls. Check out her work. I love your lab work! I use your lab for printing alot! Please consider adding Charles Stonewall to this impressive list. His work is beautiful to look at and compassionate and deeply human. He’s one of the best. Hey, this artist @waitiphone check him out takes some powerful images from his phone. Just feel the POWER!!!!!! Thanks So Much.